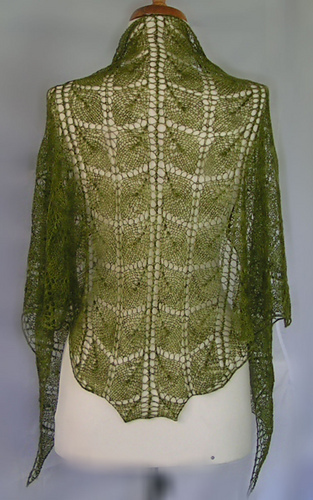 The unique shaping of this shawl hugs your shoulders and cuddles your neck and is topped off by the dramatic long draping front. 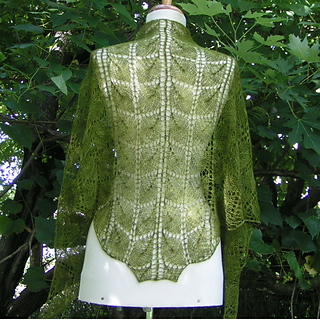 The delicately scalloped back is soft and feminine but it can also be reversed so that the points are in the back and the scalloped edge in front which will foldover a bit more to make a perfect scalloped shawl collar – not quite as shoulder hugging worn this direction but still very striking. This is so soft and lightweight in CASSIE from wooliebullie 100% cashmere but also very warm. 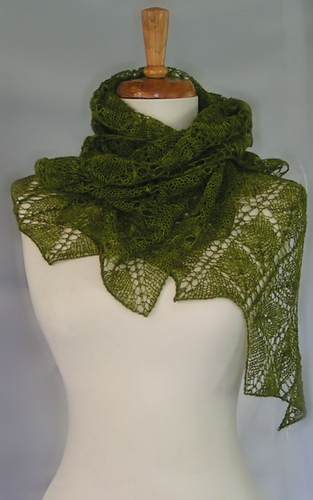 The shaping also makes it a wonderful scarf whether worn around the neck or pulled up on your head in either direction - lots of different looks with this beautiful piece. 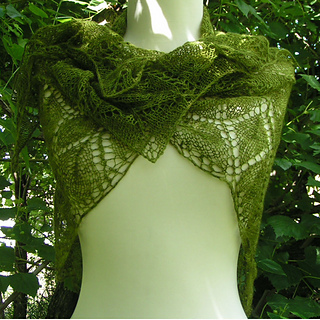 The pattern includes instructions for a scarf, shawlette and shawl with guidance on making a larger shawl. 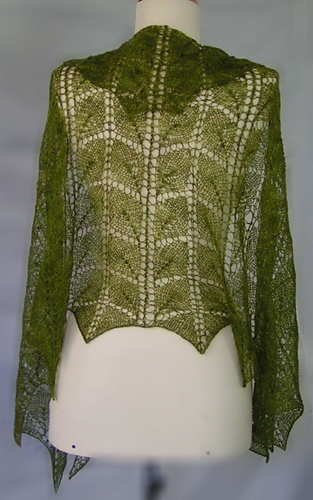 Yarn requirements and approximate measurements after blocking when knitted with CASSIE - laceweight 100% cashmere. 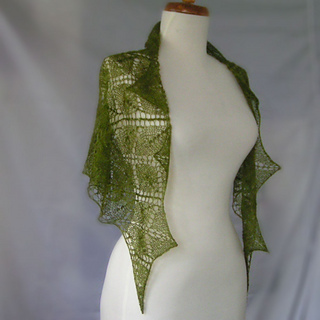 Larger shawl requirements can vary by decisions.